This is a non-video blog post. “is the largest and most comprehensive trade show for all professionals involved with the shooting sports, hunting and law enforcement industries. So, everyone in the firearms, airgun, law enforcement, or related industries will be there to show off their new stuff. It’s kind of a big deal in the ‘anything to do with any kind of shooting” sector, including airguns. I’m the one on the left, BTW. So, fast forward to the 2014 SHOT Show. This time I have a media pass to Range Day and to the show itself. And this time I plan to be organized. To hit all the airgun booths AND all the optics booths AND all the other peripheral airgun and shooting stuff. 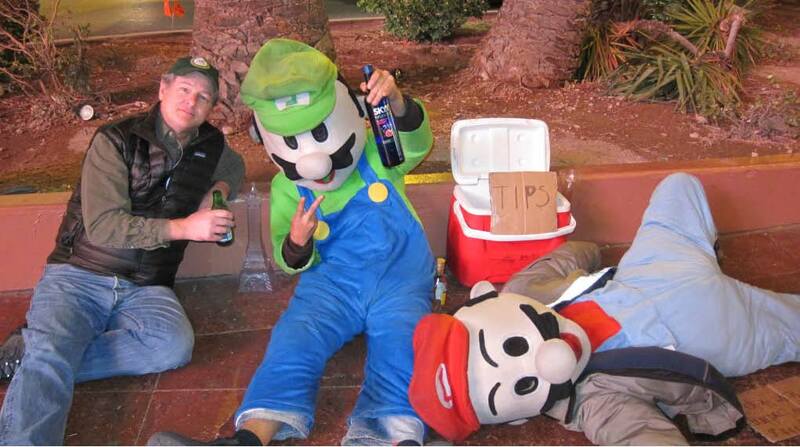 And this time, I’m taking my wife to the show, so no partying with Mario and Luigi. She has an interest in photography, and could probably fill a day or two just looking at optics. Plus, she suggested a guest blog entry here, which she called; ‘Shot Show Report from the Wife of an Airgun Nut’. I told her it was a great idea, but where would we find someone to write it? My plan is to make it to Range Day on Monday, where yours truly will shoot EVERY new airgun that they’ll let me shoot. No worries about air, pellets, etc., just shoot and gather data to report here on the blog. I’ll try to get some video to post here too. Last time I missed out on Range Day, so missed shooting all the full-auto Korean airguns. I can hardly wait to see what debuts at this show. 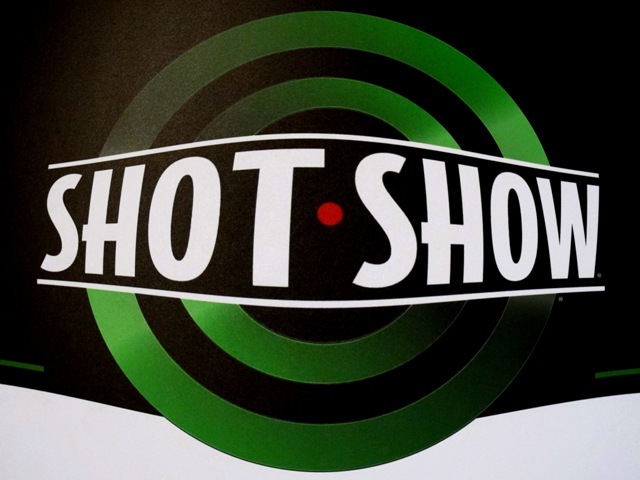 Starting on Tuesday, at the Show itself, I’ll hit all of the direct airgun booths. Air Venturi (Pyramid), Air Force, Crosman, Airguns of Arizona (should be Airguns of Airizona!! ), Gamo, Umarex, Diana, etc, etc. Lets see what’s new coming out for 2014. I may run into Rossi and the crew from American Airgunner, or Paul Capello from Airgun Reviewer. If so, I’ll try to find out what they have been up to and have planned for the upcoming year. And as for pellets, from H & N, Predator, JSB, and whoever else is there, I’m gonna bug them about non-lead pellets that actually shoot good. Lead bans are coming, folks, eventually. I know that Predator has some lead-free .177 wadcutters that were developed for match competition. We need to get some decent non-toxic pellets that will work for us at longer ranges. Next, time permitting, I’ll go to all the various airgun related or airgun compatible exhibitors. Scopes and mounts, cleaning supplies, red-dots, lasers, targets, etc. etc. I’ll try to hit them all. Finally, SWAG!!!!! I’m a sucker for free stuff, even if it isn’t all that cool. So, how many hats, bags, magnets, pens, etc. etc. I’ll collect, I can’t say. Add the catalogs and merchandising handouts, I love it all. There are about a zillion exhibitors at the show. I won’t be able to make it to all of them. So I am going to focus on the airgun stuff, or related accessories. If there is something in particular you want to see, let me know here or via PM, and I’ll try to check it out. I’m blessed to have this opportunity, and definitely want to bring a feel for the show back to all of you airgunners who haven’t had the chance to attend. So, check in here for updates and reports, I’ll post as often and as fully as I can.